If you've been a follower of my blog for quite some time, you will probably by now know that I really don't like how loosely the term 'holy grail' is often used in the bloggersphere. 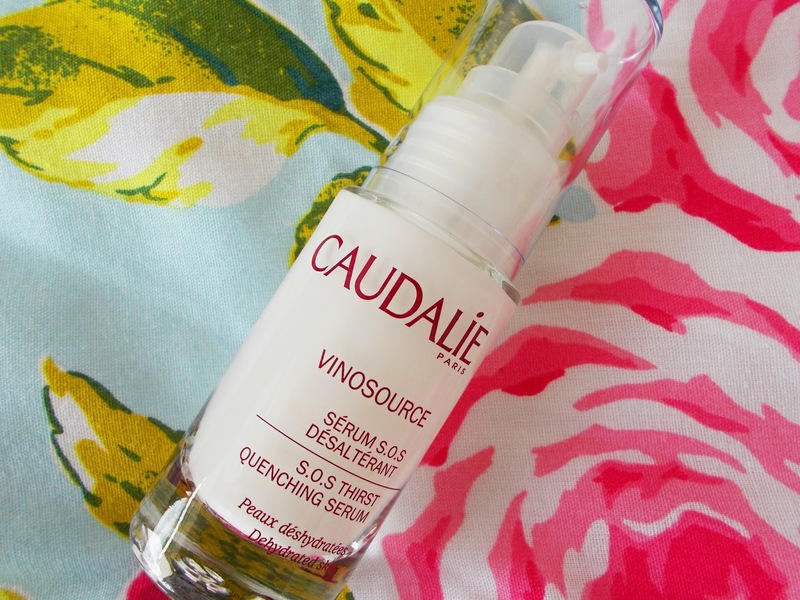 However, when it comes to the Caudalie Vinosource S.O.S Thirst Quenching Serum, I have no other way to describe it than being my holy grail product. I first managed to get my hands on a sample of this when I was a subscriber of Glossybox -- it came in their April 2012, 'Natural Beauty Box'. Ever since then, it has been a product that I have wanted to permanently initiate into my morning/evening skincare routine. In my opinion, the Thirst Quenching Serum (just going to refer to it as 'TQS' from now on due to it's name being a bit of a mouthful!) is SO underrated. 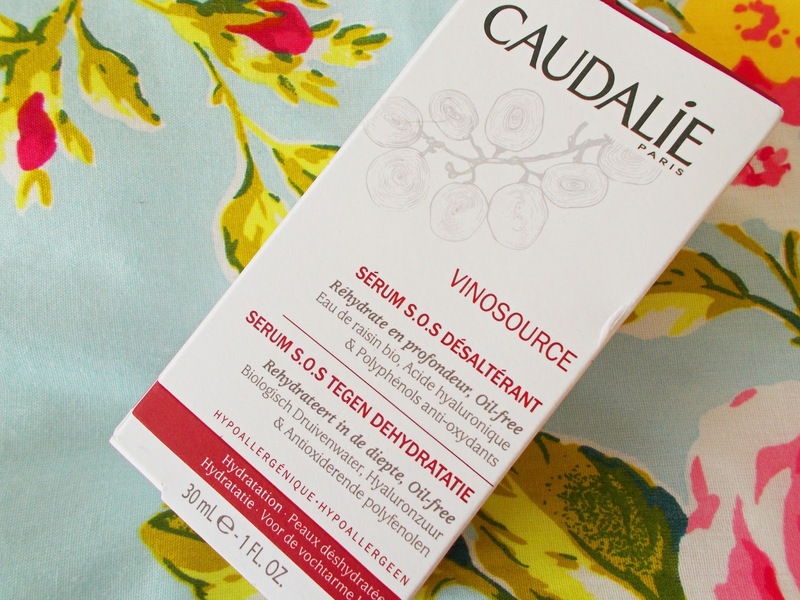 It is usually the Caudalie 'Beauty Elixir' that seems to be discussed the most. I use the TQS every morning and every evening and it has really, really benefited my skin. The product itself is almost like applying milk to my skin -- the consistency is very thin and runny yet it instantly leaves my skin feeling refreshed after being blended in. The serum absorbs quickly and leaves a scent which I can only compare to almonds. I have been using TQS along with my Bio-Oil and they seem to compliment each other perfectly. They're both suitable for sensitive skin & the scent of each are fairly similar once dry. I used to have quite dry skin around my nose and this has fully cleared since using both products. I also used to pay no attention whatsoever to my neck area, up until recently when I discovered that it is one of the areas which shows signs of ageing the quickest -- I have since been massaging my TQS into my neck area in the morning & evening as part of my routine. A little goes a long way with TQS so I only really use one pump for my forehead, cheeks & nose, then a second pump for my chin/neck area. As always, what works for my skin may not necessarily work in the same way for another person. However, if you have sensitive skin & you prefer to stay away from perfumed products, I'd really suggest trying a sample of TQS and Bio-Oil. I just think they are a perfect combination & they don't require too much time to slot into your daily routine. I tried this before too and I agree it is wonderful, xoxo.